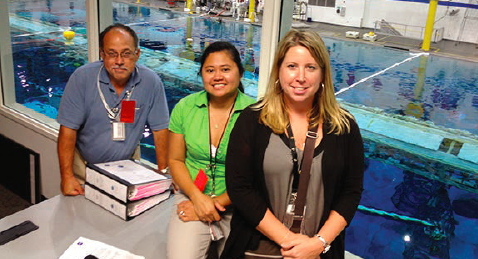 KBRwyle, SMQC, and Bacus and Associates auditors take a break from auditing to pose near NASA astronaut training at the Neutral Buoyancy Laboratory. We are what we repeatedly do. Excellence, then, is not act but a habit. Our universe is an unforgiving place and humankind has reached its greatest achievements only through careful, constant diligence. Quality assurance is at the heart of this effort, and whether we are helping keep spacecraft safe or improve health outcomes in a hospital system, Show Me Quality Consulting’s quality assurance team helps customers navigate this uncertain world. Our team combines decades of technical know-how with a personal touch and a belief that every problem can be solved. Read more about SMQC’s success partnering with KBRwyle in support of NASA’s SMA3 contract here.